With everyone carrying around a mobile phone that has note-taking apps, why should you still use a notebook? “It’s about the emotional connection,” says Consuelo Romeo, the marketing manager of Moleskine Asia. Here's a fun fact: When New Yorker writer David Sax attended a tech-industry event, he found that CEOs and venture capitalists didn’t carry around tablets or computers; they carried around notebooks. Plus, let’s be honest, tapping away at an on-screen keyboard (no matter how big your screen is) doesn’t quite yet match up with the ease of using a pen and paper. Writing by hand is more effective too. A 2014 paper from the Association of Psychological Science found that students who took notes using laptops performed worse on tests of both factual recall and conceptual understanding compared to students who did their notes in longhand. Still, there’s a big difference between scribbling on your notebook and taking useful notes. 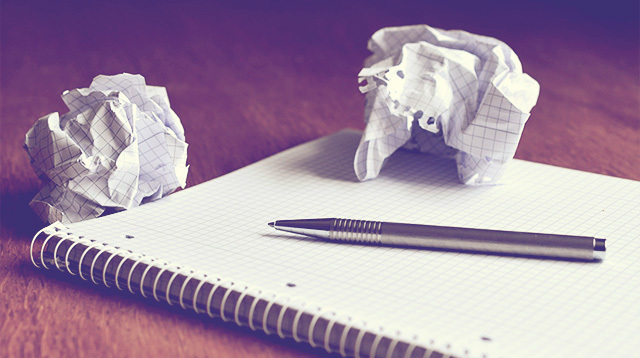 Evolve your note-taking game with these strategies. “As a business executive, I use a notebook with different sections on the page, where it’s listed ‘members of a meeting,’ ‘tasks,’ or ‘action plans,’” says Kerwin Haw, president of Manila-based Lifestyle Brands Inc. Research from the Journal of Reading showed that the more structured a notebook page, the more useful it is. On-the-fly brainstorming is recorded best on pen and paper. “When I meet with a client and I have to present ideas, it’s very difficult to draw or write on an iPad or digital device,” says Liz Wong, area manager associate of Moleskine Asia. Mind maps are the best way to condense creative ideas into a notebook page. You know how that works: write a central idea at the center, then connect it with related ideas or phrases. It’s easy to do, and as research shows, makes things easier to recall. Don’t take down notes word for word. Note-taking is so effective because it forces you to process and interpret what you hear before you put it down on a page. So don’t scribble down every word. “Verbatim note-taking has generally been seen to indicate relatively shallow cognitive processing,” write researchers Pam A. Mueller and Daniel Oppenheimer. The Von Restorff effect says that words formatted differently stand out from the pack, making them much easier to remember. Obviously, it’s hard to do bold and italics in a notebook, so just use an old standby: underline, underline, underline. Should We Still Write Things By Hand?